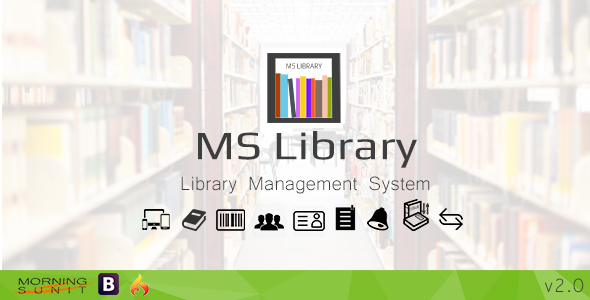 Library Management System is systematically developed to manage any type of Library easily and efficiently. It is an automated system to create customized virtual Library. Before ERP was introduced by Computerization, Library based tasks were handled manually and in traditional order. Our Library Management System is the purpose to ease traditional hassle and embrace digitization to make works easy and transparent. Our MS Library can be integrated to any existing system such as Public library, Private Funded library, School/College/University library etc. It is easily customizable to Clients need and any Label. [+] Multi Language Facilities- Arabic, Bangla, English, French, Garmany, Hindi, Spanish, Urdu. [+] CSV File import system. [+] User Friendly & Fully Responsive. [+] Member ID card System. [+] Barcode generation for Books. [+] Book category Module Distinguished. [+] Member type Module Category wise. [+] Easy Book Issue and Return procedure. [+] Simple Summary within the Dashboard. [+] The Admin only has the access to the settings of the whole System. [+] The Admin can create different (Authority/Librarian and Operator) type of user. [+] The Admin can edit/update and delete any user and information. [+] The Authority can create/edit/delete any Library and Member information. [+] The Authority/Librarian can control all Library and Member related issues. [+] An Operator and a Member and has its own User Interface. [+] A Member can only view membership status and profile. [+] An Operator can only issue and return books from members. [+] User type account creation and Password changing facility. [+] Report Generate & Download Facilities. [+] Online Notice publishing Facility. [+] Easily Integrates to Any existing system. [+] 24/7 notification Alert service. [+] Easy password Changing Facility.